LOCATION LOCATION LOCATION! 2 Block from City Center and 1/2 mile from AVALON. 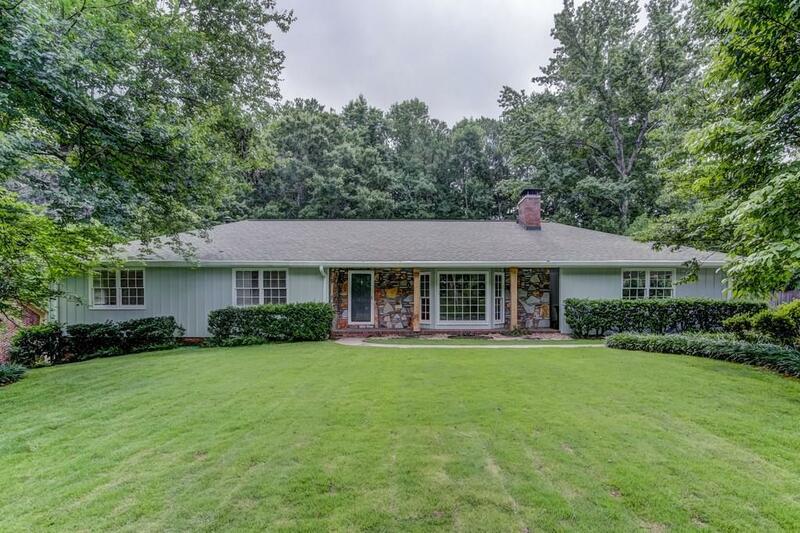 This RARE Newly renovated , huge, sprawling ranch, with super private, fenced back yard located in the heart of Historic Alpharetta. This 4 BR, 3 BA Home offers amazing space, privacy and convenience. Features include, stunning hardwoods, NEW carpet,NEW paint inside and out, NEW lighting, upgraded kitchen with Granite, 36 inch gas cooktop, covered screened porch, fenced back yard, HUGE fully finished terrace level with full bath. LAWN SERVICE IS INCLUDED. Capture this rare find FAST!